This Reference Article defines and explains how to enable SENTINEL logging for troubleshooting purpose. An escalation checklist is also attached showing recommended logging for troubleshooting. 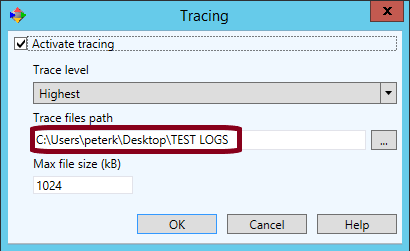 Enable Tracing in SENTINEL – Requires restart of SENTINEL service (Label Print Manager) after making changes. Log files in SENTINEL are not the same as trace files but can be useful for tracking down timestamps of the problem. These files are configured per SENTINEL watch, and most likely will not be consolidated with other trace files. 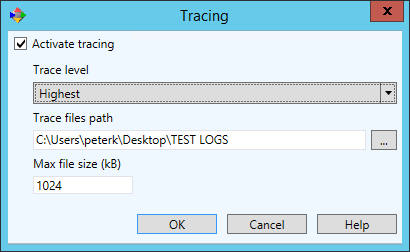 Consolidation into Trace files directories might be necessary to understand the issue. If not, please take not of relevant logs and capture them accordingly. Note: Remember to turn the logging off when you are done. Take note of the folder location for the log file. You will need to navigate back to it the recover the log files.